Recently, I accompanied my grandchildren on a trip to the Harry Potter exhibition at Warner Brothers Studios near Watford. I have to confess that I am not a Harry Potter fan, but I certainly enjoyed the outing to the exhibition. I found it astonishing the detail that goes into creating the real visual effects that appear on the screen. 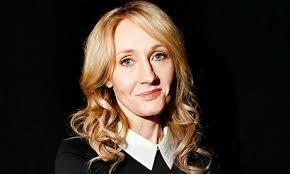 Certainly J K Rowling is a brilliant author to have created the seven Harry Potter books which are so popular, worldwide. Yesterday, I ran across her top five writing tips on the Now Novel blog. I thought I would republish and comment on them. I agree that it is unwise – even couterproductive – to establish an overall deadline (unless you publisher insists on it). For me, the minimum size of a ‘stolen pocket’ is an hour. In less than an hour, I can’t get into a fully creative mode. Instead of diving right into line 1, J.K. Rowling advises taking the time to plan out the world your books will live in. She took five years to create and develop every last detail of the Harry Potter world. Every part of Rowling’s books was planned and worked out, right down to how the Wizards and Muggles interacted (and the word Muggles, to begin with!) what the education was like, how magic helped in every day life and how the wizarding world of government worked. She also plotted out all the events of the seven books before she started writing the first. Great if you can do it! I write a two page outline of a novel before I start it, but for me, this is just a framework. I find that characters want to behave differently and therefor events change, or I get an ‘inspiration’ that causes me to deviate from the original plan. I depend a lot on these inspirations! I agree! I don’t think I’ve ever reached fifteen re-writes, but four of five is not uncommon. For me, the scope of a rewrite tends to decrease over time: after a major rewrite, what follows tends to be less and less radical. I tend to make changes to the plot once I’ve started writing a novel. These changes make the novel more interesting, more exciting, or better convey the overall message of the work. But I agree that one has to be careful that the revised plot flows seamlessly with no inconsistencies. Perhaps a favourite J.K. Rowling quote is: “What you write becomes who you are… So make sure you love what you write!” One of the reasons the Harry Potter books are so infectious is because you can tell she really loves the world she created – and all the characters in them. If you’re going to approach your book in a half-hearted manner, there’s no point even beginning it. Make sure you’re passionate about what you write and you’ll draw your readers along with you. This is very true! Occasionally, I find that the work is starting to lose interest for me. Then I know that something is wrong and significant changes are required. For example, I gave a literary friend a draft of Sable Shadow & The Presence before it was finished. His comment: “It’s boring.” I agreed, and I put it aside while I wrote Hidden Battlefields. When I came back to the manuscript it was with new ideas and new enthusiasm. When I finished, my friend (like many others) gave it a very good review.